Besides The Gunslinger, Kinect: Disneyland Adventures was my favorite game for Xbox 360. Hearing the news that it was re-releasing on Xbox One with controller support was awesome news. For kids and even adults this is one magical experience that you simply cannot miss. Without further ado, here is the review for Disneyland Adventures played on Xbox One X. This is the best family game available on Xbox and likely any other console. Meeting the Disney characters is a lovely thing to see, for young and old. Walking around the Disneyland theme park is much easier now with controller support, although you can still use Kinect too. It remains something magical to see Pluto or Winnie-the-Pooh, I know it sounds weird but it actually helps you escape the real world. It makes you feel happy hugging and doing errands for Disney characters. Besides walking around, the park has quite a few mini games to play. You can play them on your own or gather a friend and let him help to reach a higher score. In other words, you can play this with your son or daughter. Whoever you play it with, Disneyland Adventures is the perfect local co-op game to play. Visually Disneyland Adventures looks great on Xbox One X, there is in no way evidence that this game released on Xbox 360. The magic and happiness escapes my 4K screen and infuses me with childhood memories. Sure, the draw distance isn’t perfect and you’ll notice quite a few blurry object far, far away but the game is very pleasing on the eyes. Not only graphics and performance is night and day difference, Kinect is another big improvement on Xbox One. Tracking is much, much better compared with the Xbox 360 version. What caused a lot of frustration before is now gone, I’m glad that people still have an option to play this game with Kinect, it is likely the best game to play on the device. One small note though, moving around the park is really tiresome with Kinect, you constantly have to wave your arms. Luckily you can switch play between Kinect and controller fast, if you get too tired. The main core gameplay is taking pictures with all the Disney characters, set-pieces and hidden Mickey icons. This can become a little repetitive after a while. Exploring the park is fun but being forced to look in every corner and every piece of object can become tedious after a few hours. Some of the mini games made a bad transition to controller input, for example Tinker Bells ride. With Kinect you need to move your body in a specific position and that works perfectly with Xbox One’s Kinect, with the controller however things become a little bit frustrating. You need to press a specific button in sequence but the time to do that is something really short. Loading times on Xbox One are on the long side, even on the much more powerful Xbox One X. Starting the game and switching between mini games/rides can take several seconds, especially kids aren’t known for patience so that’s a shame. What a feeling meeting your childhood heroes, what a joy running around a recreated Disneyland park! This is simply the best family game available on Xbox. Asobo did an awesome job bringing this over to Xbox One, it made sure to improve everything that needed attention. Anyway, got kids? 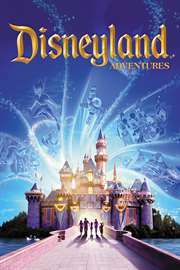 Buy Disneyland Adventures now! Dev: Asobo Publisher: Microsoft Played on: Xbox One X LifeisXbox received a digital review code, provided by Microsoft.